Children can use their imaginations and get some physical activity while they pretend to be skeletons. Just in time for Halloween, this FREE printable (at the bottom of the post) is perfect to work off all that energy from eating candy. Or add it into a lesson about body awareness, the skeletal system or for playing pretend hospital. At birth, we have 300 bones, but some of them fuse (grow together) so adults have 206 bones. Bones are growing throughout childhood development into early adulthood. The longest bone in the body is the femur (thigh bone) and the smallest bone (the stirrup) is in the inner ear. The skeletal system helps protect our body, produces blood cells and helps us move. EXERCISE and weight-bearing activities (ie standing, wheelbarrow walking, push-ups, jumping, etc) are super important for bone growth. 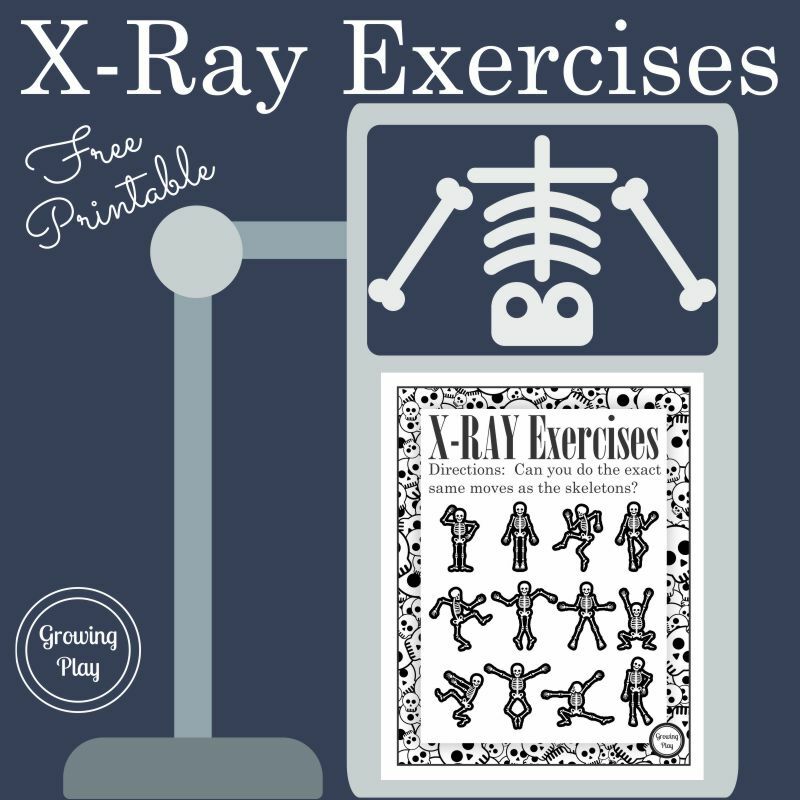 Sign up below to receive your X-Ray Exercises printable. Check out this fun video to learn the skeleton dance when you are done with your X-Ray Exercises. This post is part of a Halloween Blog hop. 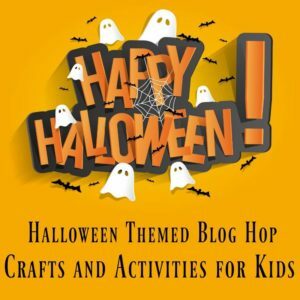 Hop on over to the other blogs for more Halloween crafts, ideas, recipes and more!